Free From G.: Gluten Free Crispy Batter - Finally! That right there is it. 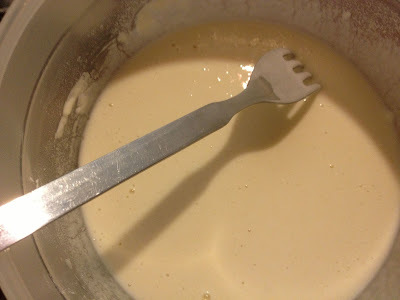 It's the batter mix that looks just the same as all the others but the one that was actually able to deliver the desired end result. I'm still playing around with the sauce recipe for Sweet and Sour Chicken because I had it, it was perfect, but I got so excited by the sight of the crispy puffed up batter that I did something incredibly stupid - though I hope understandable as I had finished my quest - I put corn starch into the sauce to thicken it without adding liquid. 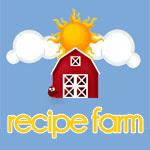 I rectified my mistake but it meant that the ingredients quantities were off so I have to do it again for a recipe post. It's a bit good. So how did I make this crispy gluten free batter? I don't even know why I bought this last weekend, I had no intention of making cakes but I just felt like it was something I should experiment with, more for pastry really, I don't think using if for batter occurred to me until I started making the stuff. 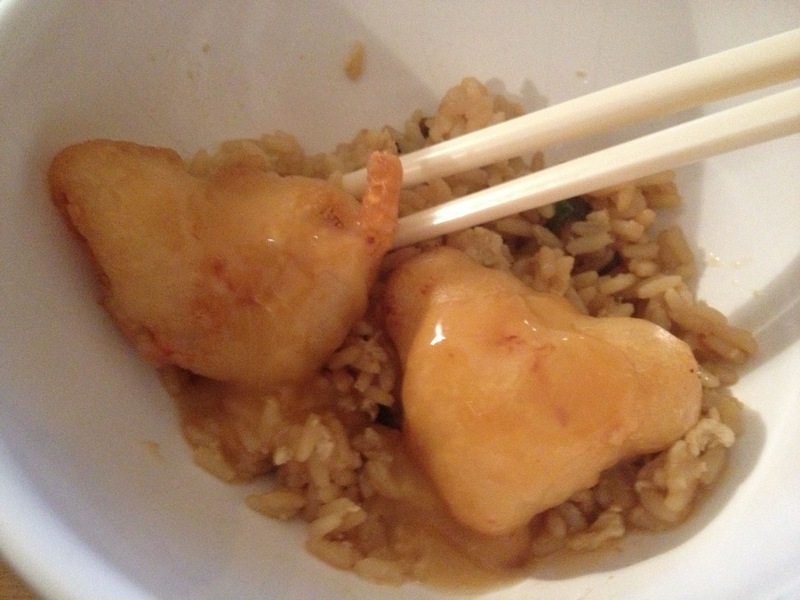 The plan was to make Sweet and Sour Chicken and what I initially intended to do was use masa for the batter. 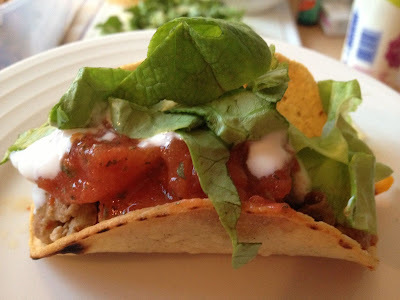 I've done this before with Fish and Chips and Fish Fingers and it works a treat but it's time consuming and the masa doesn't work with smaller things such as Onion Rings, it wouldn't have worked well with the chicken either, would have been too doughy in comparison to the amount of poultry. And that's it. 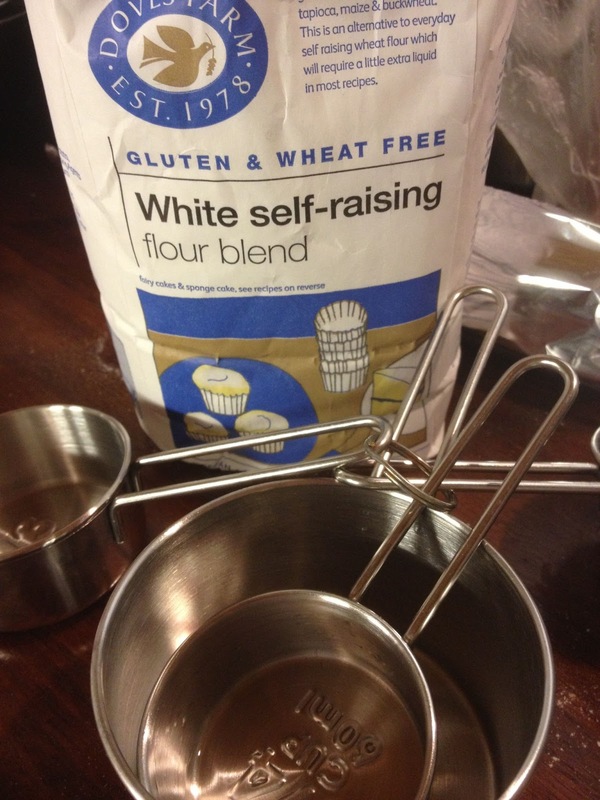 No weighing out random flours, no mixing them together, just a shop bought self raising flour mix that worked perfectly. I mixed the batter together with a fork and put it in the fridge for 30 minutes before I needed it. Then I put the marinated chicken pieces into the batter and covered using the fork. A Crisp N Dry block was melted on high and once hot enough I dropped each battered piece of chicken into the oil and watched them immediately puff up before my very eyes. 4 Minutes later and the first batch was done. I couldn't contain my excitement and I'm still a bit shocked as to how easy it all was. 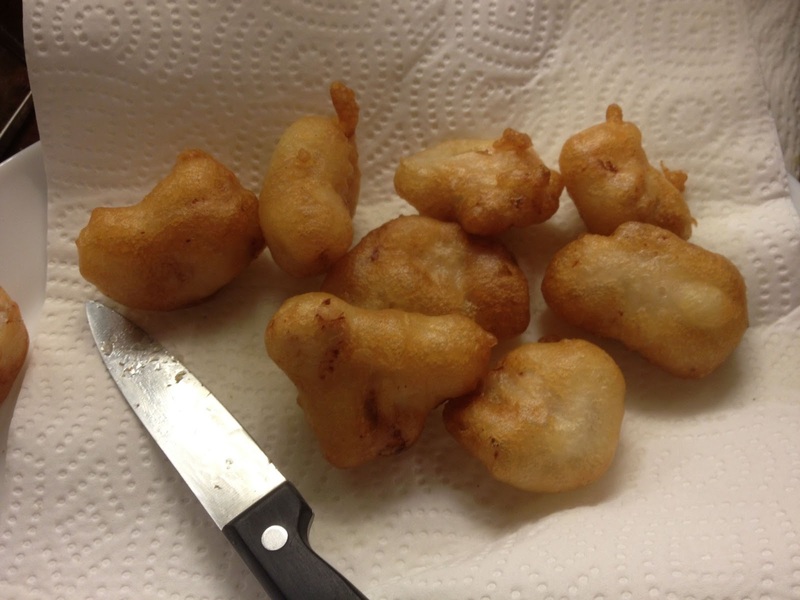 I had made light but crispy gluten free batter that was effortless and could be used on all manner of things. Hello to those onions rings I'm yet to make with it! Rice, Potato, Tapioca, Maize, Buckwheat, mono calcium phosphate, sodium bicarbonate and xanthan gum. I of course want to fry everything in this batter now but I'm being good. There's plenty more versions of this to come but as a basic crispy gluten free batter this is the place to start. There's plenty of flavours that I want to add in and hopefully I'll be documenting them soon. Sometimes the most simple of things are surprisingly the best. Thanks :) but I'm already on there! I've always understood malt vinegar to be a nono on a gluten free due to it coming from barley but I'll look into it more.